Fight against mutants for survival in this RTS wasteland. Play online in massive games with up to 32 players, or play offline in the single player campaign. Trash was originally released in 2005 and updated continiously until 2009. Trash still enjoys an active player community. 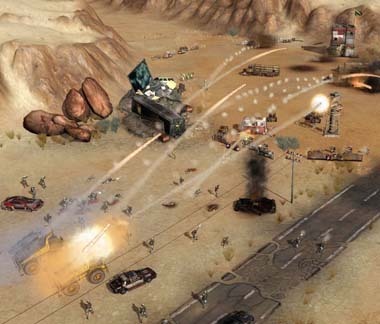 APOX is a real-time strategy game that uniquely includes gameplay concepts from first-person shooters. APOX was released on Steam in 2011 and developed on-site at BlueGiant Interactive. Inhuman Games' Mark Currie and a team of twelve from Bluegiant created APOX in two years. 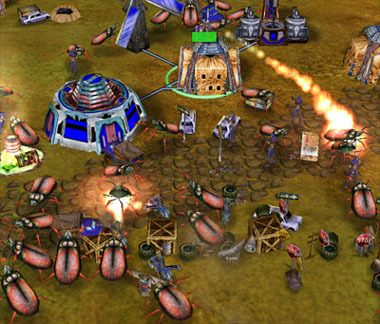 APOX was built from the Trash RTS Engine.